They bloom in the spring in open woodlands. 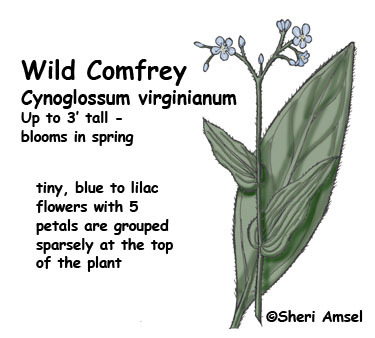 The tiny, blue to lilac flowers have 5 petals and are grouped sparsely at the top of the plant. 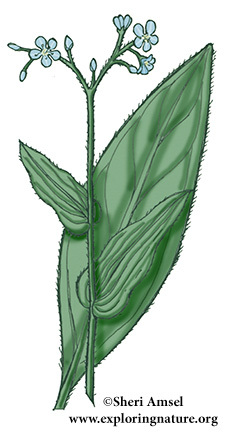 The leaves clasp around the hairy stem at their base. Leaf Type: Lance to egg-shaped, large and entire (smooth edge) but covered in tiny, bristles.